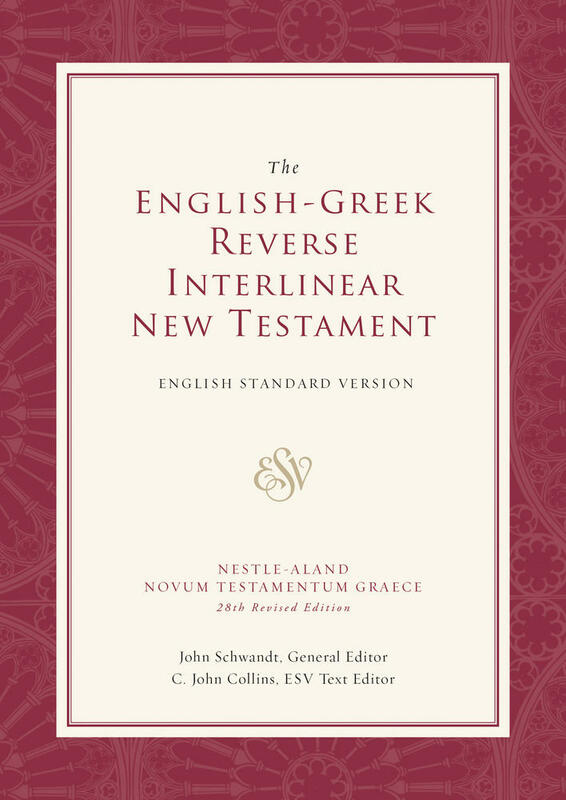 Today, we're pleased to announce the publication of The Greek New Testament, Produced at Tyndale House, Cambridge—the result of years of research and created to serve the global church. Even though we don’t have the Bible’s original pieces of paper, we can in fact be highly confident that we know what those original pieces of paper said. . . . The charge that we cannot know what the originals said is patently and utterly false. The gap between the originals and our earliest extant copies of them is—in the grand scheme of things—not that long at all. And far from diminishing our ability to identify what the originals said, the vast number of existing copies actually allows us to reason out deductively, to a very high degree of historical confidence, what John, Luke, Paul, and the other writers of the New Testament actually wrote. And yet, there is still need for scholars who are committed to studying the ancient, biblical manuscripts that form the basis for modern translations. 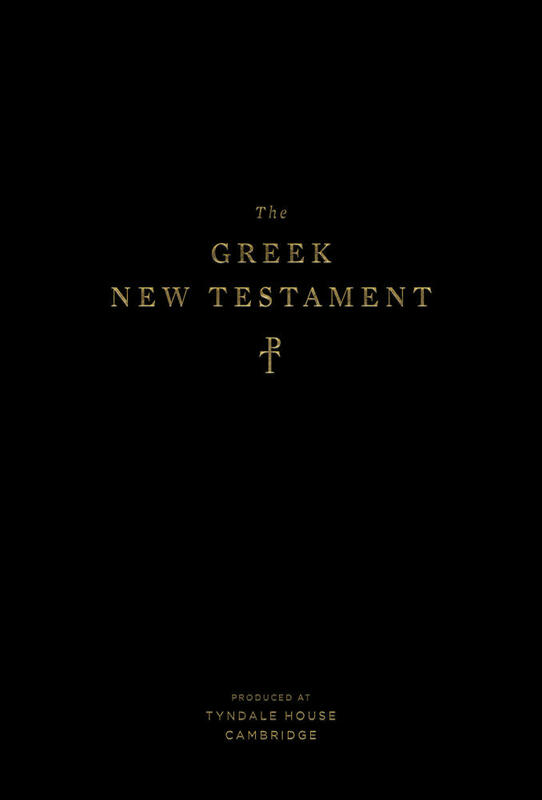 The Greek New Testament, Produced at Tyndale House, Cambridge was created under the oversight of editors Dr. Dirk Jongkind (St. Edmund's College, University of Cambridge) and Dr. Peter Williams (Tyndale House, Cambridge). Together with their team of scholars, they have taken a rigorously philological approach to reevaluating the manuscripts—reexamining spelling and paragraph decisions as well as allowing more recent discoveries related to scribal habits in the earliest manuscripts to inform editorial decisions. Relies on the earliest manuscripts, wherever feasible from the fifth century and earlier, to provide a text that is anchored in the early textual history of the Greek New Testament and is faithful to the representation of the Scriptures as they have come down to us through the centuries. Includes a concise apparatus consisting of a selection of three main types of variants, including: (1) variants that are extremely close contenders for the main text, (2) variants of high exegetical importance, and (3) significant variants illustrating scribal habits in the earliest manuscripts. Retains early spellings that are well attested in in the earliest manuscripts transmitted to us, from the fifth century or earlier. Paragraph designation also follows early manuscript evidence, which from time to time differs from modern paragraph designation, with implications for doing exegesis today. Paragraphs are marked by ekthesis (rather than indentation), corresponding to ancient Greek practice. All editions will be bound with a durable Smyth-sewn binding, typeset in a highly readable ten-point font, and printed on cream-colored heavy (70gsm) opaque paper stock. 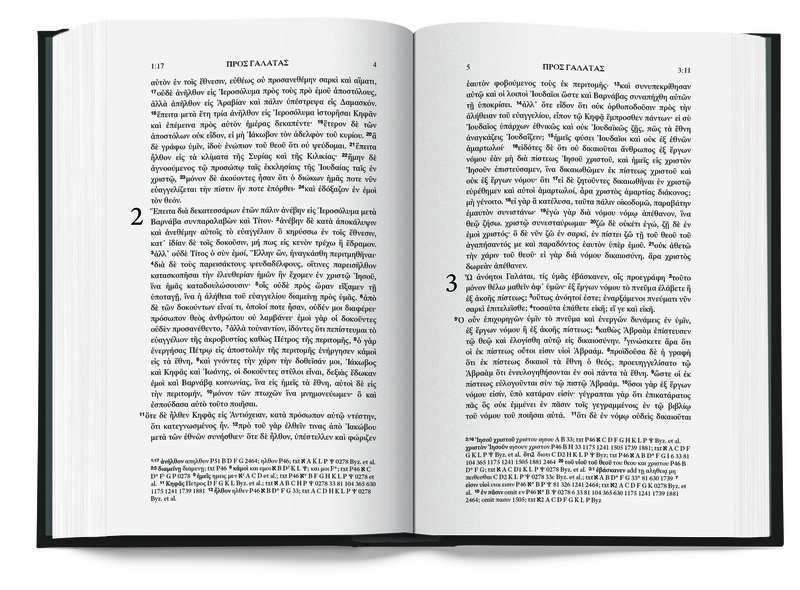 The Greek New Testament, Produced at Tyndale House, Cambridge is available in 2 print editions: hardcover and TruTone. The full text is also freely available online via ESV.org, which features a number of robust study tools aimed at facilitating in-depth study of the biblical text. 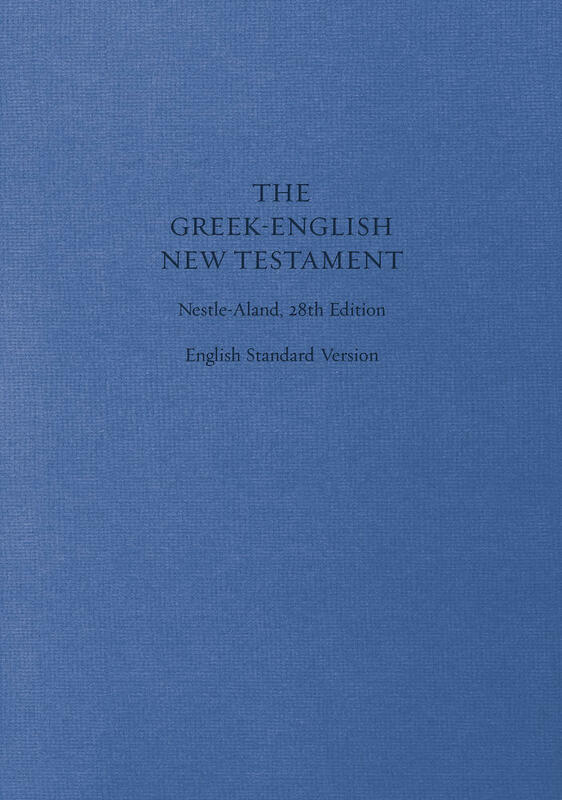 Learn more about The ESV Greek New Testament, Produced at Tyndale House, Cambridge at TheGreekNewTestament.com and download a sample of the Gospel of Mark.